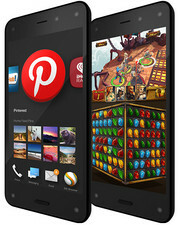 The Amazon Fire Android phone differs from many devices of other manufacturers. While it still runs Android, it has a lot of Amazon flavor and features not found in any other phone make it unique. Its 4.7-inch screen only has a 1280 x 720 resolution, which is rather standard. In view of the display size, it look too grainy. There are four motion tracking cameras to track your head movement. It uses infrared which triggers some visual effects like elements popping in and out of the screen. Its a cool feature but rather a gimmick, which you won't need. As expected, there are a lot of Amazon-specific functions. The Google Play Store has been replaced by the Amazon app store. The Fire Phone OS is not compatible with Google Play Services like Google Now, but these were replaced by its own voice assistant. The Firefly scanner scans items and searches for it on the Amazon store, while the real-time Mayday chat puts you in front of an Amazon customer service rep. The 13 MP rear camera is very bareboned and gets the job done, but it is unspectacular. Only get this phone if you are deeply embedded in Amazon's ecosystem and do a lot of shopping on Amazon. Four eyes see 3D. Amazon's Fire Phone aims to offer innovative features for a small price, but the online retailer has not got a lot of praise so far. Our review shows why we are not convinced, either. 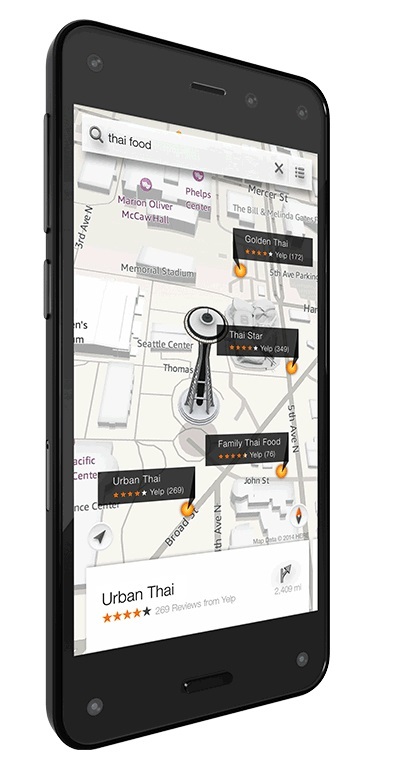 Much like the Kindle Fire tablets, the Fire Phone’s primary function is to act as a gateway to Amazon’s ecosystem. At times the device feels like a shopping basket masquerading as a smartphone - and one that's not built for enterprise usage. While there are plenty of software and hardware differences between the Fire Phone and its high-end Android rivals, none really offer the meat to compensate for the usability issues. Amazon has had plenty of time to bring out a decent smartphone and certainly deep enough pockets to do its research. In many ways, the Fire phone is likable. The camera and hardware are solid and there are elements of the OS we started to appreciate. Android could do with a bit of streamlining in places. Even though you can get it free on contract, the Fire phone isn't as cheap as we had expected. For a similar contract price, or even when bought SIM-free, you could have a flagship Android phone such as the LG G3. If you're comparing specifications, the Fire phone looks distinctly mid-range. For roughly the same money, you could have a flagship Android smartphone or for a little more per month on contract, a brand new iPhone. If you're looking purely as specs, the Fire phone is fairly mid-range. The deal is sweetened by a year of free Amazon Prime, though, which would otherwise cost you £79 and includes next-day delivery and the Instant Video streaming service. So the Fire phone has a few things going for it, but asking people to get to grips with a new operating system, deal with the limited app store and still pay top dollar for it is a bold move indeed. Ultimately, the safe option is to plump for an Android device such as the LG G3. Amazon would have you think the Fire Phone is a mobile revolution, a complete rethink of how an Android smartphone should be made. It’s not: it’s just another phone with a so-so build that seems to do things differently just to spite Google rather than to help customers. Nor is it the affordable option the company would have you believe, at £399 on Pay As You Go. Unless you really need Mayday, the similar-sized Motorola Moto G represents much better value, and still lets you use Kindle and the Amazon Appstore on the go. 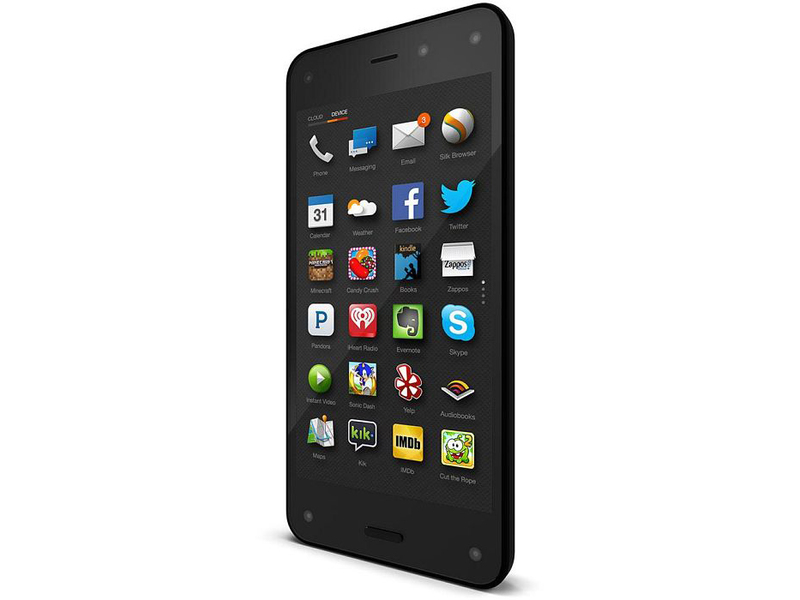 Ultimately, the Amazon Fire Phone is a deeply frustrating and woefully misconceived handset. Apart from being a cynical money-making machine for Amazon, its clunky OS is difficult to use and offers no benefit over Android or iOS. The Dynamic Perspective display is a needless gimmick and its Firefly camera isn't good enough to rival services elsewhere. It's also expensive, even if you do get a free year of Amazon Prime thrown in as a vague sweetener. It's not broken per se, but you should avoid this at all costs. 50% Is Amazon's foray into the smartphone space a success? Amazon's Fire Phone is a decent attempt at selling more Amazon goods and services, but it's hardly a smartphone worth considering if you're not already invested in Amazon's ecosystem. If you're looking for flexibility in an operating system (customization, great apps, etc.) and you want top-end specs to boot, consider an Android flagship smartphone or older iPhone. They cost the same as the Fire Phone. From a design standpoint, it’s a sharp smartphone. It’s understated and classy, with minimal branding and a solid feel. The 4.7-inch display should’ve been a 1080p panel (as it stands, the native resolution is pegged at 1280 x 720), but at least Amazon is including a full 32GB of internal storage on its base model. Unfortunately, the phone is only available through AT&T, which complicates things further. We were curious when Amazon announced their Fire phone, and intrigued by the Dynamic Perspective and Firefly features that Amazon claims sets its handset apart from other flagship smartphones. So we bought a Fire phone to test and show you how those features work--or rather, how they don't really work well. Here's why we couldn't wait to return this phone for a refund after testing. Amazon takes this to an entirely new level with the Fire Phone, to the point that if you're shopping and content consumption habits do not revolve around Amazon.com Kindle, Prime Video, Amazon MP3, and you have no intentions of that becoming the case, it’s very difficult to recommend the Fire Phone. At times the device appears like a handheld personal shopping tool that just happens to have cellular capabilities. I could go on and talk about all the standard smartphone measures -- the Fire Phone's performance is somewhat choppy, its battery life is on the lower end of average, its call quality is fine and its camera is pretty decent -- but at this point, all of that seems rather inconsequential. There are just so many fundamental things wrong with this device that, for most people, it's impossible to recommend. The Fire Phone is ultimately a collection of random ideas that don't come together to create any type of cohesive or compelling user experience. Its operating system is confusing and difficult to use, its Dynamic Perspective feature is gimmicky and counterproductive and its prominent integration with Amazon makes it feel more like a pushy salesperson than a user-focused tool. Dynamic Perspective and Firefly are interesting features that will only get better with more supported apps and when more products are added into Amazon’s analysis database. I expect those features to improve greatly by the time Fire Phone 2 and 3 roll around. But right now, the rest of Fire OS 3.5 drags the Fire Phone down. That said, there’s certainly a lot to like here. Those who value fresh ideas, those not bullied into demanding conformity by the overwhelming cynicism of the jaded tech world, will appreciate the freshness the Fire Phone brings to a slowly stagnating space. For reading, for shopping, for existing within Amazon’s special corner of the internet, it literally doesn’t get any better than this. And for everything else … well, there’s always version two. 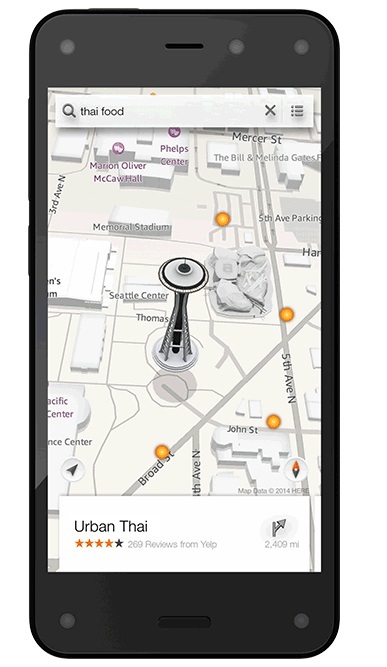 If you have never played with an Amazon device before, the Fire Phone will take you a while to master. It's an average looking phone with a couple nifty tricks either meant to sell you things or dazzle your eyes, but other than that, it's nothing worth bragging about. Keep in mind Amazon has an agenda: it wants to sell more goods and push Prime. And the Fire Phone is the company's latest way of achieving that goal. Despite a gazillion sensors and Dynamic Display to get you all excited about the idea of using the Fire Phone as your everyday device, Amazon only really cares about whether you use the Firefly app to buy stuff on Amazon.com. This is a phone for Amazon’s whales, the very top customers. Just like how you had to be an Apple die-hard to pay $600 for the first-gen iPhone, this first Fire Phone will be the most tempting for people all-in with Amazon for everything from shopping to ebooks to TV shows. Even though this is a respectable first showing, I think Amazon will keep improving both the design and the software polish, and hopefully the Appstore will mature at the same time. Then the Fire Phone has the potential to go from a phone to delight Prime customers to a delightful phone that will make new Prime customers. If you want a new smartphone, do yourself a favor and browse the handsets in our latest Smartphone Comparison Guide and Phablet Comparison Guide. Very few of them cost more than the Fire Phone, and many cost less. I'd recommend every single one of them ahead of this head-scratching debut from Amazon. Can the Amazon Fire Phone Take on iPhone and Samsung? The Amazon Fire phone is perfectly suited for people heavily invested in the company’s ecosystem, and who like to use their smartphones one-handed, as long as they like AT&T. But to top Apple and Samsung, Amazon needs to do better. You buy iPhones for the ease-of-use, the app ecosystem, and the design language. You buy Android phones for the freedom of choice and the tinkerability. You’d buy this phone for the free Amazon Prime and a quick fix for shoppin’ fever. It’s not a bad phone, it just isn’t in the same league as a top-tier Android phone or iPhone. When you look past its purchasing powers and its fringe benefits—which can’t be ignored—what you have left is a relatively unexciting handset. Instead, it's left to features like Dynamic Perspective and Firefly to sell the Fire Phone, and while they're clever, they're not yet convincing must-haves. In a way, it feels like Amazon tried to make its smartphone too many things: both a smaller gateway to its virtual aisles for your pocket, and a feature-pushing flagship differentiated on more than just software and services. 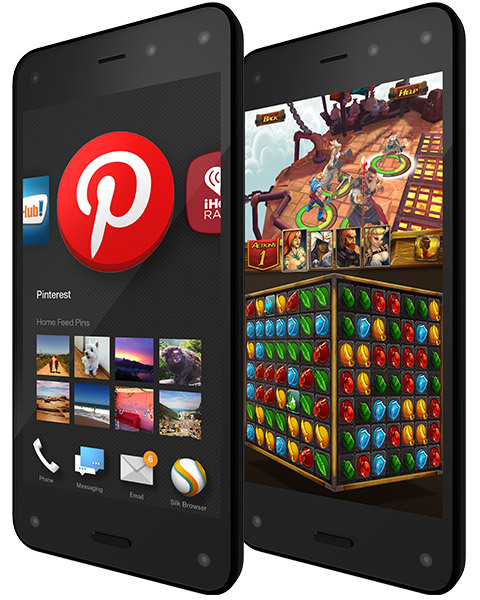 The Amazon Fire Phone is good, but it's neither the home-run nor the game-changer that many were expecting. When is Amazon coming out with a phone? That question has been answered, but after having tested the phone, I have a new one: Why? The Fire phone has some clever innovations and a nice design, but at the moment, there's not much that would compel me to switch from either Android or iOS. For anyone who is shopping for a cost-friendly tablet which serves occasional laptop duty, the Amazon Fire HD 10 inch 2015 can be put on the shortlist. This tablet is equipped with a quad-core processor, a 5 MP rear camera, an HD front camera and Dolby-enhanced stereo speakers. Due to a 10.1 inch widescreen display, it is heavier and thicker than other tablets. The wide screen is just enough to support an on-screen keyboard with full-sized keys. With 149 ppi and 1280x800 resolution, the image is notably blurry towards the edges, but it remains legible. Hence, it might not be ideal for those who use it for reading. The cool thing, though, is the tons of entertainments given by Amazon. Subscribers to Amazon Prime can have a worthwhile privilege to access unlimited content of music, movies, TV shows, books, games and much more. Its 16 GB or 32 GB internal storage, coupled with a microSD expansion slot, definitely eases your mind, too. Non-subscribers can experience the first-of-a-kind Amazon Underground, which presents a huge collection of free apps and games valued at $10,000. Overall, the Fire HD 10's fair performance makes it a decent choice for budget leisure. Shopping with style.The 10.1-inch Amazon Fire HD 10 tablet is available for a starting price of just 200 Euros (~$218). Its Android-based Fire OS operating system primarily serves as the shopping platform for Amazon products. It is easy to use - and with a few tricks, Google Play as well as other Android apps can also run on it. Amazon’s current generation Fire HD 10 may be one of the most powerful tablets the company currently offers but it’s price, specifications, and benchmark scores show this is really a budget tablet with direct ties to Amazon’s ecosystem. This isn’t necessarily a bad thing it’s just important to know what you’re getting into with this device. There are inexpensive tablets, and there are cheap tablets. A chintzy design, low-resolution display, lackluster cameras and sluggish performance make the Amazon Fire 10 feel less than the sum of its parts. For less money, the Lenovo Tab 2 A10 has a higher-resolution screen, better design and much longer battery life. Poor performance and sub-par screen resolutions leave you questioning the purpose of these affordable tablets. With pixel density that’s years out of date, the Amazon Fire HD 10 just doesn’t offer the screen quality that’ll get us spending upwards of £150. The funny thing is that while the larger display is what’ll get people buying this instead of the Fire tablet or Fire HD 8, those extra inches actually are what make the screen worse. The Amazon Fire HD 10 doesn’t make any moves that are going to cause people to send the thing back. The sound and battery life are a bit better than you’d expect, the screen is as advertised. However, it’s just not that good, especially when the price is creeping towards the mid-range zone where every single tablet out there offers a far, far better display. It’s the screen resolution that puts me off the most. It's very pixellated. 60% Is this the best cheap 10in tablet around? If, on the other hand, you want something a little more versatile, there are more tempting options. Sacrifice 2in and the Tesco Hudl 2 gives you change, just, from £100. If you’re willing to forgo an inch of screen size, and are happy with a 4:3 ratio, then the Google Nexus 9 is your friend. When it costs £200 from Argos, which it does right now, it’s far more tempting, even to Amazon Prime subscribers like me. 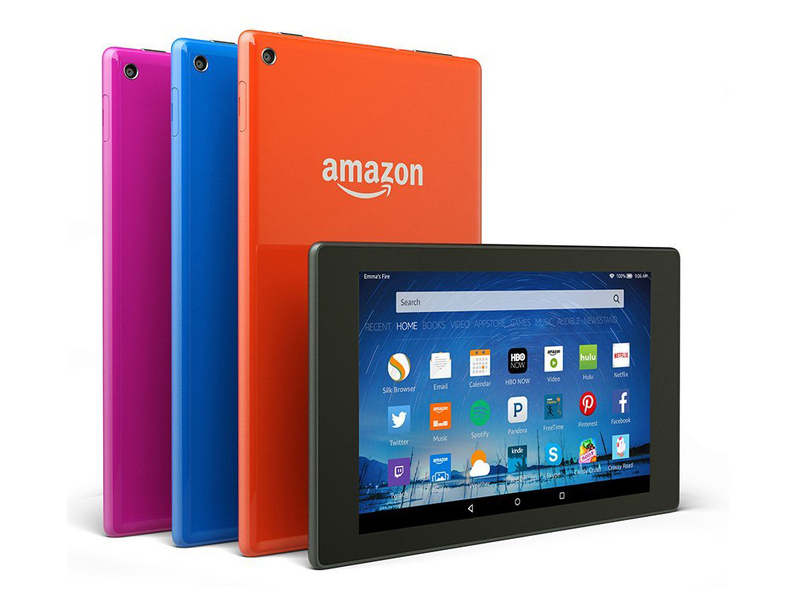 The Amazon Fire HD 10 is a 10.1-inch window to Amazon's vast multimedia library. Unfortunately, its clunky form factor, slippery back, and grainy screen don't justify the jump in price over the Fire HD 8, which offers access to the same content but in a much more manageable body. If you're after a more well-rounded tablet, you'll have to shell out some extra cash for the iPad Air 2, which has an unbeatable app experience. The Amazon Fire tablet, for £50, does what it says on the tin: it’s a tablet designed to deliver you Amazon products for cheap. And it does it pretty well, to be honest, for the low price tag. While it won’t compete with the higher end Amazon Fire tablets, for a first-time buyer who wants to try a slate out, or wants to get something for the kids and is already clued into the Amazon eco-system, it’s a great buy - but by itself, it’s not quite compelling enough. The Amazon Fire HD 10 is a mixed bag, with its design and screen being the most obvious weak points, but respectable real-world performance and an impressive software experience mean that it has a place for certain users. The £169.99 price tag is a little steep for what’s on offer and the keyboard dock adds an additional £99, despite feeling a little flimsy, but if you’re already entrenched in the world of Amazon, this might be worth a look. We’ll pass full judgement come the full review. In conclusion, as at the beginning, we can only say that Amazon Kindle Fire HD 10 is a device with loads of stuff done right, but amazingly the one or two key things done very poorly. The interface is better than ever before on an Amazon tablet, the MediaTek SoC performs really well for what it is, the tablet is incredibly thin and light and the company claims it will stand up to abuse. We'll talk more about the specs, the benchmarks, the new Fire OS and other aspects of the device in our full review. Stay tuned. The Fire HD 10 is one of the cheapest 10in tablets around, but with good reason. Screen quality is only average, performance is mediocre and you’re forced to use Amazon’s Fire OS. While version 5 is a definite improvement over the awful previous releases, it’s still limited compared to vanilla Android and surprisingly buggy at launch. Unless you’re completely invested in the Amazon ecosystem, and have no need for Google apps including Chrome, Maps, YouTube and Drive, you’re signing up for a limited experience. Like other Amazon tablets before it, the Fire HD 10 only really makes sense if you're immersed - or willing to be - in the retailer's ecosystem, though. Kindle ebooks, Prime video, and the Amazon Appstore are so tightly interwoven into the slate, while it may be possible to supplant them with third-party alternatives, the resulting experience underwhelms. That fact alone will probably decide whether the Fire HD 10 is for you or not. If Amazon is your go-to store, and your primary need for a tablet is content consumption, its an affordable way to carry Bezos' empire around with you. Everyone else would be better served with a more generic Android tablet or an iPad.Only Amazon addicts need apply. Both Fire HD tablet is just 7.7mm thick and the HD 10 will be available with a black or white body. The HD 8 will be available in four colours: tangerine, magenta, blue and black. You will also be able to get a keyboard case for the HD 10 that offers a full-size keyboard and trackpad, much like a laptop. It connects through Bluetooth, but will still last for up to four months on a single charge. 70% Was taugt die neue HD-Klasse? 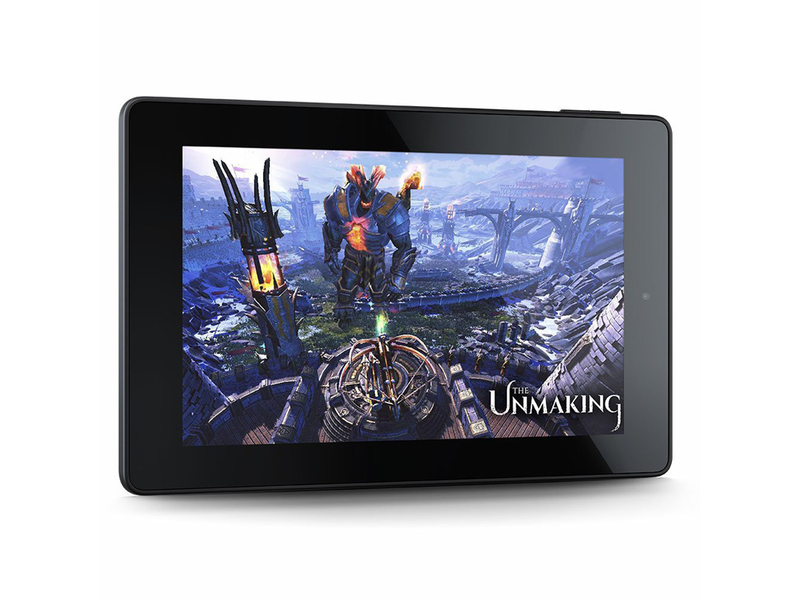 The Amazon Fire HD 7 inch 2015 is a tablet released by Amazon, which is designed for reading. With 1.3 GHz quad core CPU and 1 GB RAM, it is considered an entry level reading tablet. It comes with 8 GB internal memory and a microSD card slot which allows adding 128 GB of storage. Being an Amazon tablet, it runs on Amazon’s custom operating system, which is the Fire OS 5 UI, customized from the Android operating system. The Amazon Fire HD 7 inch 2015 comes with free cloud storage for all Amazon content, which is one of the signature feature for Amazon devices. Its 7 inch capacitive multi-touch touchscreen uses IPS technology and features a resolution of 600 x 1024 pixels, which gives a pixel density of about 170 PPI. In addition, the tablet comes with a 2 MP rear camera capable of recording 720p videos and a secondary VGA camera. With a size of 191 x 115 x 10.6 mm (7.52 x 4.53 x 0.42 in) and a weight of 313 g (11.04 oz), it is a small and lightweight reading tablet, which you can very easily take with you. The Connectivity includes Wi-Fi 802.11 b/g/n, Bluetooth and a microUSB v2.0 port. On Fire? 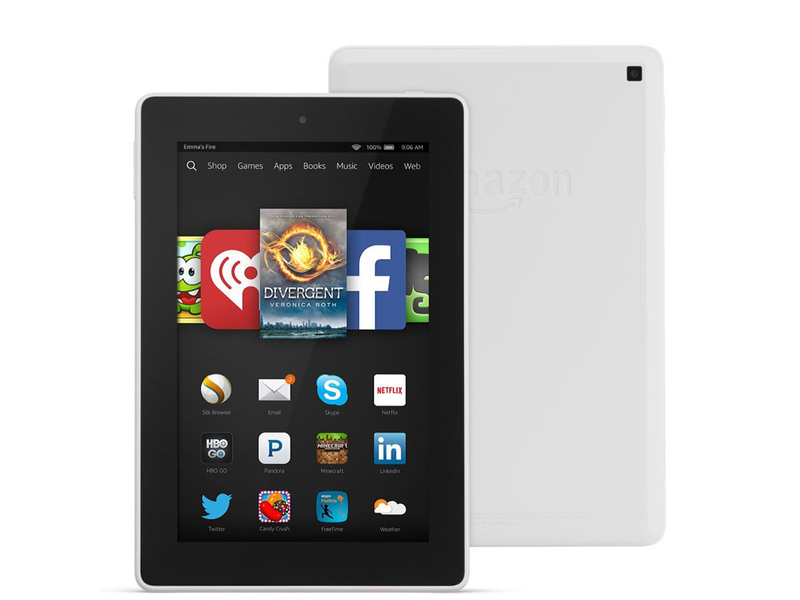 Amazon's entry into their tablet ecosystem is inexpensive - in fact, very inexpensive. In Germany, the Fire Tablet (Late 2015) sells for 60 Euro (~$64) via Amazon's online store. What compromises the low-budget 7-inch tablet requires is the subject of our review. Tablet prices are falling which I am sure everyone knows. The £49 being asked by Amazon for their latest 7"Fire sets a new low price for what is a very powerful Android tablet. So what if anything is not included in this latest offering? The plus points it allows a child to have their own device and content, the older person to get their own computer and to keep in content with others as even a standard phone line cost and call connection charges are scandalous. Along with the multitude of third-party products on offer from its Aladdin’s Cave of delights, sometimes known as its catalogue, Amazon has a number of its own brand offerings. Like many companies, Amazon holds a Christmas in July event for journalists in order to promote products such as the Fire Tablet forming the basis for this review. Price certainly isn’t everything, but we have to give Amazon credit for delivering a $50 tablet that actually provides enough features and performance to meet the needs of a basic tablet user. Think about how your kids, parents, grandparents, or your non-techie friend would use a tablet. 80% Who needs Hudl when there's this for £50? Looking at Amazon's customer ratings, people seem to like the $50 Fire tablet. Nearly 80 percent of owners gave it 4 stars or higher. This is despite sluggish performance, a low-resolution display and short battery life. After spending lots of time with the Fire, I see where they are coming from. The Amazon Fire isn't a tablet for everyone, despite its all-welcoming £50 price. However, for some, its low price will be justification of its cut-price parts. It isn't slick in operation, the screen is clearly pixellated, and it feels cheap. However, it can happily run virtually any Android game, includes an IPS display, and – unlike ultra-budget tablets of a few years ago – it doesn’t feel as though it might be about to drip battery acid from its seams. A swipe to the left gets you recently accessed content and apps, plus recommendations. It's a good way to get to frequent tasks without spending a lot of time moving around icons on the home screen. Older Amazon devices will get this feature, too, with an upcoming software update. If you’re buying the Fire, then you’ll be doing so for its price. All you need to know is that it’s performance is acceptable. This tablet is slow and has a dreary screen, but it won’t fall over at the drop of the hat and has a good enough battery life to keep the occupants of the backseats of a Volvo entertained all the way to Cornwall. With such an incredibly low price, the Fire doesn’t really have any competition. The closest match would be the Tesco Hudl 2, which costs twice the price. 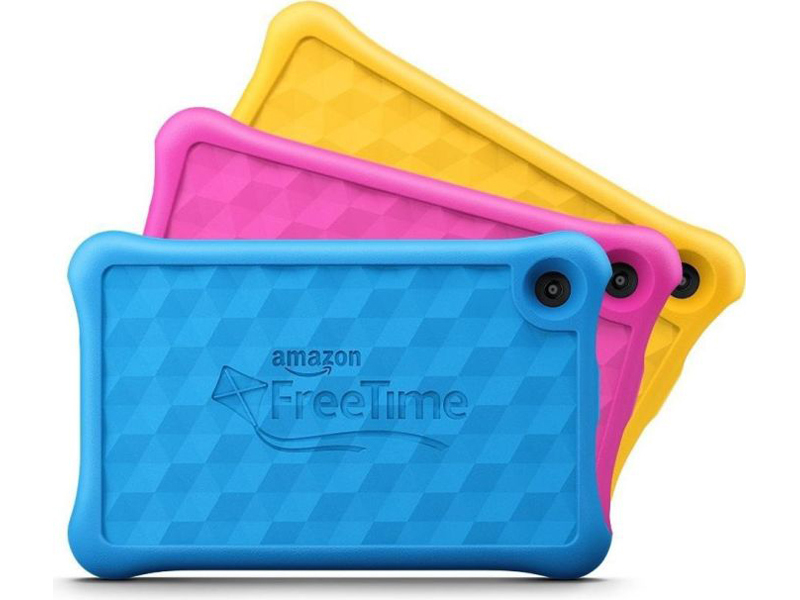 If you’re looking for a cheap tablet to give to your children, Amazon’s own Kids Edition Fire also costs £100, but includes a heavy duty protective rubber case and two-year worry-free guarantee, arguably making it better value for cautious parents. The new Fire makes sense for anyone looking for a first tablet, though, or a cheap second device for travel, university or for keeping in the kitchen, as long as you’re aware of its limitations. If you can afford the extra £30, buy the Fire HD 6 instead. An extra £50? Buy the Tesco Hudl 2 – you’ll get a stronger device that you’ll be happy to use as your mainstay. Yet there will be a lot of people out there looking to dip their toes into the tablet world or buy a cheap slate for one or more kids. There’s no question that they could do much better than the Fire, but you could pay more and do much, much worse. New to the Kids Edition, as part of Fire OS 5, is a web browser and YouTube access, although it is again age appropriately locked, with thousands of websites and YouTube videos curated to ensure they are suitable. Parents can add or remove them if needed, but a child could jump on board safely from the off. 64% Was kann das 60 Euro-Tablet? 60% Test de l’Amazon Fire 7 2015 (5e gen) : qu’attendre d’une tablette à 60 euros ? 80% Test : Amazon Fire, la tablette à 60 euros incontournable pour Noël? 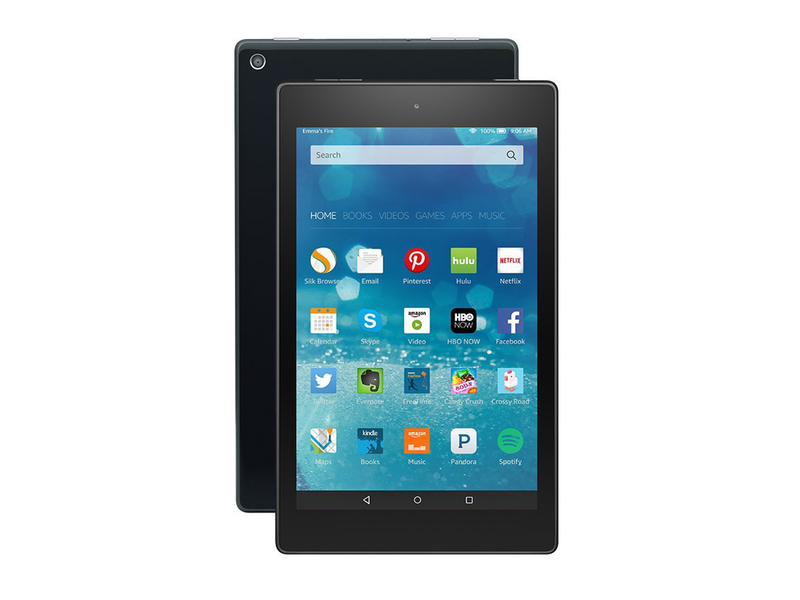 The Amazon Fire HD 8 is an entry-level tablet that is both budget and family-friendly. Ideal for media consumption such as movies, videos, music and e-books, this tablet provides sufficiently bright visuals with its 1280 x 800 display and a loud Dolby Atmos sound system. Still, its low-resolution display might not appeal to the elaborate users as it may appear grainy for certain videos. It is designed to mainly work on landscape mode, as issues of mixing up the volume buttons or the tangling of earbuds and charging cables may arise in portrait mode. Besides, its casing is made of glossy plastic, which is not fingerprint and smudge-proof in addition to feeling cheap as compared to a metal finish. However, if one does not mind the feel of the tablet and is a member of Amazon Prime, this tablet has much to offer. Amazon Prime members have the access to stream or download movies and TV shows from its Prime library as well as certain games which are made exclusively free for the members. Additionally, its storage is microSD expandable up to 128 GB, which would be a delight for heavy media downloads. This tablet runs on the latest Fire OS 5, which is similar to Android OS but it is more customized towards Amazon users. Among the customizations are Mayday Screen Sharing and FreeTime, which allows face-to-face video chats with an Amazon representative for customer service and also parental control on which channels, shows or apps to be made available to the user's children. A flash in the pan. Amazon's Fire HD 8 tablet features an HD screen and the brand new Fire OS 5 Bellini operating system with the familiar software restrictions. The starting price is 160 Euros (~$175) – if the user can live with adware. In this review read why the spark does not kindle a blazing fire. It doesn’t cost that much and has an 8in screen, which is pretty much the perfect size for a tablet: big enough to dwarf your phone, not so big that you look like a kid playing with an Early Learning Centre toy. A £129 ticket price is sure to get a few people interested, too. However, it’s still not a great choice unless you’re yet to lay eyes on a single ‘good’ tablet. Amazon really has the market cornered on low-cost tablets. At this price point, there is simply no other competition from a big-name manufacturer. Sure, you can find plenty of third-party bargain bin options while shopping around on, well, Amazon, but I wouldn't count on a reliable hardware or software experience, let alone access to an advanced tech support network. The Fire HD 8 gets you a modest upgrade in terms of screen size, resolution, camera, and processing power, but it costs three times as much as the Fire. After the disaster that was the Fire Phone, it seems the coin has dropped at Amazon. Fire tablets are not, and never will be, direct competition for devices running Android and iOS. Rather they should be cost-effective machines designed primarily to access your Amazon content and for general media consumption. Everything else people are doing on their Android or iPhone mobiles and that’s a party Amazon is never going to gatecrash. Looked at in that light, the HD 8 makes some sense though I’d be happier if £130 got you the 16GB advert-free version. 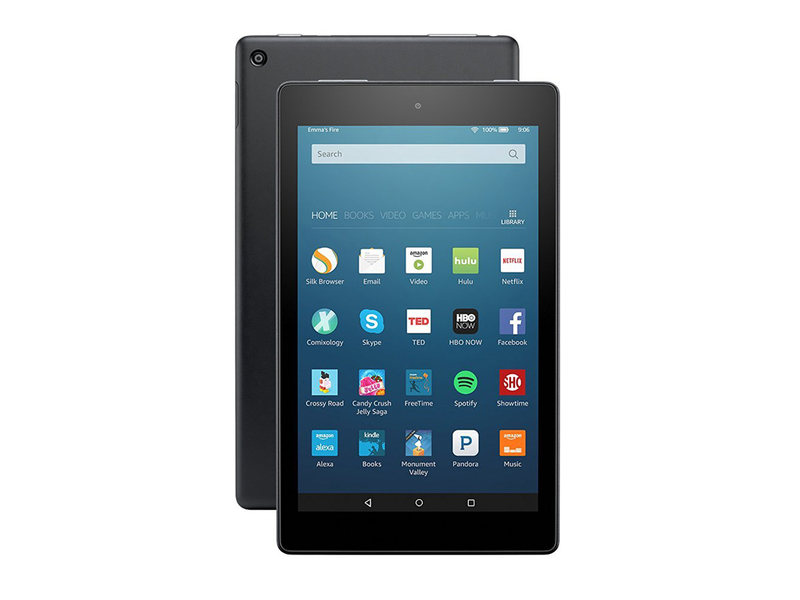 The Amazon Fire HD 8 is a "family" tablet. That’s a double-edged term, and one that naturally limits expectations about how high-end any part of it will be. Sure enough, the Amazon Fire HD 8 has a fairly low-res screen – and although slim, its build quality is unlikely to impress. It isn't the zippiest tablet either. However, fairly good battery life and its above-average speakers add a likeable edge to a tablet that might otherwise be easy to dismiss. The low price tag sounds appealing and whilst initial experiences offered up respectable performance, in the long-run it might not be the most logical purchase in the tablet space as the internal hardware will likely age quickly. We’ll have a better idea of whether that’s the case come the full review. Stay tuned. 87% Kindle Fire HD 8 im Test: Das ging schon besser, Amazon! Positive: Decent display; nice design; long battery life; good price. Negative: Average hardware; plastic case. Family Fire. 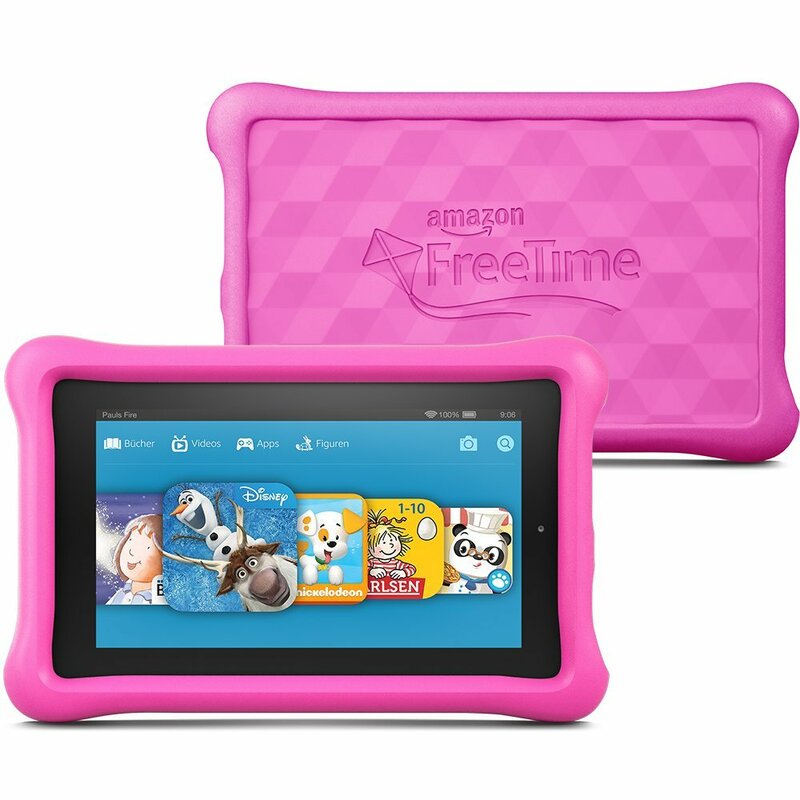 A thick protective cover, two-year worry-free warranty and a one-year subscription to "Amazon FreeTime Unlimited" is to make Amazon's cheapest Fire tablet suitable for children 3+ years with the Kids Edition. Parents will likely find the device interesting primarily for its reasonable price of 120 Euros (~$131). Tablets can be a kid's favorite tool for fun and education, but without good parental controls, they can also be a parent's worst nightmare. Amazon delivers quality content and family-friendly protections that will make everyone happy. The Fire doesn't offer the zippiest performance or the longest battery life. 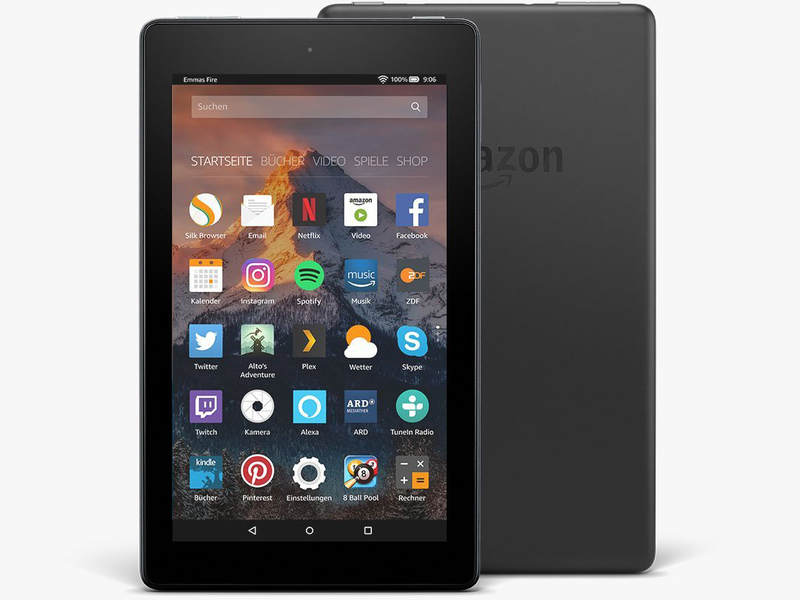 Amazon Fire 7 (2017) is Amazon's improved version of their cheapest tablets on the market. 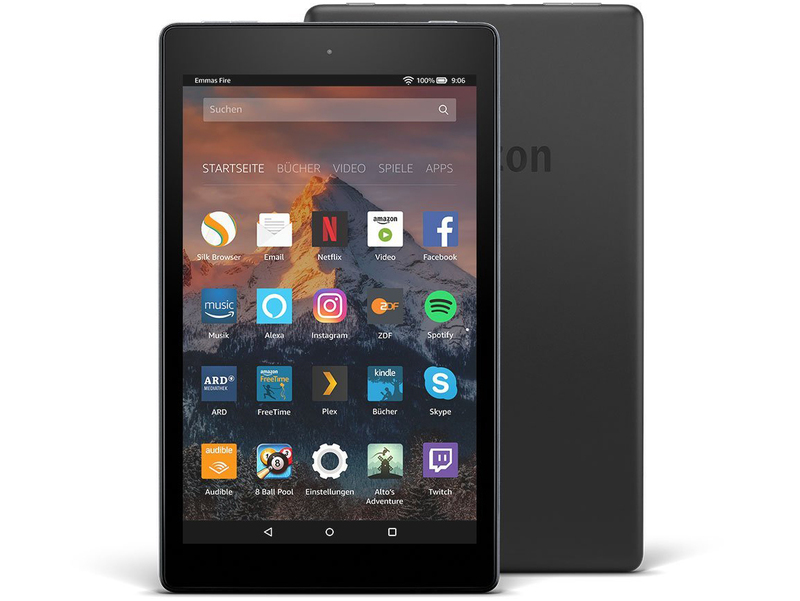 The Amazon Fire is the sort of tablet that would make a perfect gift for a little one who won't be too perturbed by the lowly specs or a good first tablet for someone who is not the techiest. It comes in a plastic case and is both thinner and lighter than previous versions, but it's quite an easy device to hold in the hand while watching a video or playing games. All the hardware buttons sit along the top of the slate, with the power/unlock key and micro USB port on the top right, while the 3.5mm headphone jack and volume controls are on the top left. 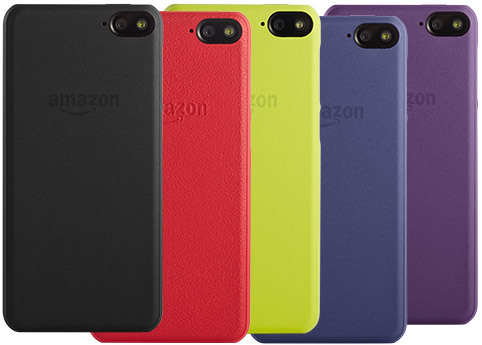 Amazon has included color options of blue, black, red and yellow for the Amazon Fire (2017), plus there are a variety of material cases a user can choose from. The display on the new Amazon Fire has had some slight improvements for the new version with better contrast levels, but there isn't a major upgrade. It has just a 7-inch screen with a resolution of 600 x 1024, which is the same as the previous model and quite a bit lower than HD. Although the resolution is low, it uses an IPS display, which results in decent viewing angles and fair color. One of the biggest upgrades of the new tablet is the introduction of dual-band Wi-Fi support, which means the user should be able to use slightly speedier internet with the Amazon Fire 7 (2017). If the user has 5GHz Wi-Fi at home or where a user will be using the tablet, this may be a big benefit and offer slightly better streaming and download speeds for the media they are consuming. Under the hood, the Fire 7 (2017) has a MediaTek MT8127 SoC, a quad-core 1.3GHz processor designed to support displays up to 1920x1200 resolution. This chipset has easily enough power to power the Fire's 1,024 x 600-pixel display. The Fire 7 comes in 8 and 16GB models. The 8GB model has very little storage available at only 5.63 GB, however, there is a microSD memory card slot that counters this problem. The Fire 7 has two cameras which a VGA camera on the front and a 2-megapixel camera on the back. 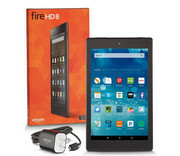 The Amazon Fire is an Android tablet, but it can't be noticed by looking at the software. Android 5.1 is at the Fire's heart, but on the top is Amazon's own Fire OS 5. This is a total re-skin of Android, one that not only replaces the top layer but every Google service beneath too. Battery life was fine on this tablet at 4 hours, 32 minutes of web video streaming on maximum brightness. The Amazon Fire 7 (2017) is a reasonable tablets for reading e-books and playing some media but falls far behind the others in terms of screen resolution and performance. Made for penny-pinchers. Amazon's latest Fire 7 Tablet generation is thinner, lighter, equipped with a better display, and supposed to offer an improved battery life. The price, however, remained largely unchanged, and the 2017 generation remains very affordable. Find out in our extensive review whether the entry-level tablet is worth it. Even if you buy the normal version rather than the Kids Edition, you still get the excellent parental controls via the Fire for Kids app and the ability to create multiple user profiles. At just $49.99, the 2017 Amazon Fire 7 remains the best extreme-budget tablet you can buy. Yes, it has limitations, but no other mainstream brand offers something comparable for the price. It’s an especially good deal if you’re already an Amazon Prime customer, and/or have plenty invested in Amazon digital content. The Fire 7’s simple design and bold, mostly easy-to-follow menus make it a great starter or second tablet for the family. However, we’d recommend going up in price to the Fire HD 8 if you need to view large text or want a tablet that can work better as an e-reader. It’s not a standard Android tablet, so your choice of apps is limited, but it does nearly as much as other tablets at a price we can’t argue with. The Fire 7 is a very minor update to the 2015 7in Fire tablet. It’s a shame that the processor and cameras haven’t been upgraded, but the low price makes it hard to complain. It remains great value and a great way to use Amazon’s services including video and music – as well as Alexa. The absence of all things Google will be a deal-breaker for some, but it’s an excellent choice for kids or undemanding adults. The Fire 7 has won itself a lot of fans based on its happy-go-lucky positioning at the bottom of the tablet pile. It's one of those devices that you'd probably dismiss based on the spec sheet, if it wasn't for its ridiculously affordable price point. Instead, this tablet is one of the best tech bargains you'll find. While you can find other tablets that cost under $50, most are from no-name companies or are way out of date. When you consider the Fire 7's strong build quality, easy access to Amazon services and dead-simple interface, this tablet is almost in a class by itself. However, to reach this price, Amazon cut several corners, including on screen quality, audio performance and battery life. The slow processor and poor cameras are the most egregious of these downsides. Amazon is still in a $50/£50 tablet league of its own with the Fire 7 (2017), but the low-res display is now arguably a cut too far for a modern media-focused device. There are improvements we’d still like to see (and this new iteration hasn’t addressed all the ones we highlighted in our review of the original, such as the sluggish OS or the tinny speakers), but considering its price point it performs well. Positive: Low price; 16GB ROM; high autonomy; solid workmanship. Negative: Mediocre speakers; weak processor; thick. Amazon Fire HD8 (2017) isn't a top of the range monster like the new iPad or Samsung Galaxy Tab S3, but it does offer up some impressive specs considering its low price point. The tablet is offering better specs, the Alexa assistant and all of the Prime services in one device. Amazon has been selling own-brand tablets for years now, with freshly updated models emerging every year. The Fire HD8 sits somewhere in the middle of Amazon’s current 2017 line-up. Amazon’s all-new Fire HD8 2017 tablet isn’t much different from previous models when it comes to the look and feels. As the name implies it’s an 8-inch device, although that chunky frame is still a struggle to slip inside a handbag or any other small carrier. Thankfully the 369g body isn’t too hefty, so younger users can handle without issue. That plastic design is pretty rugged, shrugging off bangs and scrapes as if they never happened. The main reason to snag the Fire HD8 2017 over the cheaper Fire 7 model is the upgraded screen. The HD8 may have a marginally bigger display, but it’s also sharper thanks to the 1280x800 HD resolution. This display is rather muted, as expected from a budget device, so colors are far from punchy. That said, a user can still lose themselves in movies and shows, even without that finer detail or vibrant image reproduction. It comes in either 16GB or 32GB of storage space onboard, for carrying around downloaded videos, photos, games, and the rest. Not much space, particularly as the 16GB model only comes with 10GB of usable space. Thankfully users can bung in a microSD memory card, to expand this when required. 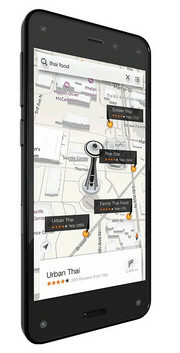 Although based on Android, Amazon’s Fire OS offers a far different interface and user experience. This is based on user’s content, so the user will find quick links to any books, shows and so on. From here the user can flick left to dive into subcategories, such as Kindle books, Prime Video, and Audible audiobooks. With its basic 1.3GHz quad-core chipset, backed by just 1.5GB of memory, a user can expect reasonably budget performance from the HD8 2017. All the same, this updated Amazon Fire tablet can still be used to browse the web, enjoy some ebooks, stream a bit of show and so on. The user can even play games, without much of a stutter. Battery life is pretty solid too, offering all-day use from a single charge. That includes plenty of video streaming, reading and messing around online. The top edge of the tablet hosts the 3.5mm headphone jack, volume rocker, power button and micro USB for charging. That means all the other edges are button-free and it can be a touch easier to hold because of that. A user can have the choice of black, blue, red and yellow color casing. If you're looking for a tablet that you can hand to your child without stressing out, the Amazon Fire 7 Kids Edition is a great choice. For $99, you get a sturdy device with an outstanding warranty, a huge library of child-appropriate content, and controls that help you guide your child's entertainment choices without having to look over their shoulder. 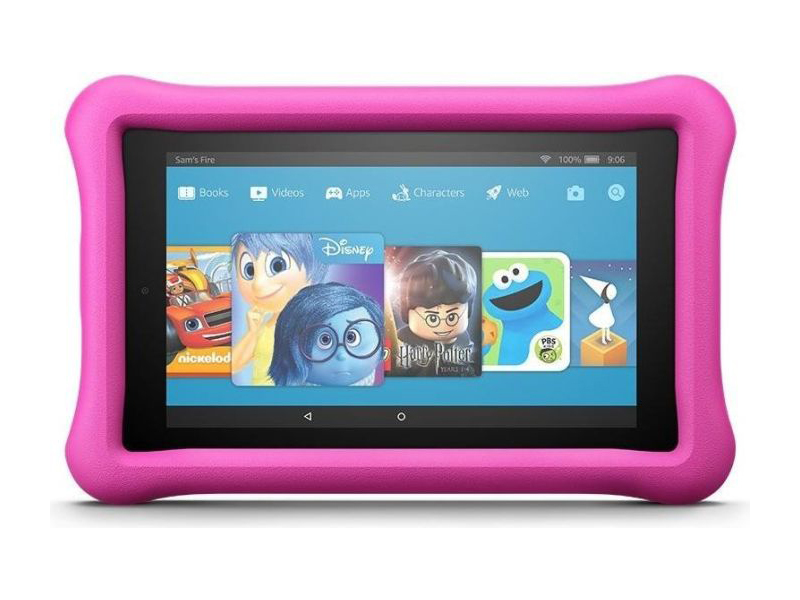 If you're looking for an entertainment and educational tablet for your child, the Amazon Fire HD 8 for Kids is the best choice. The cost isn't outrageous, and you save even more with FreeTime Unlimited. The two-year Worry-Free warranty has the potential to save you a lot of money in repair or replacement costs. And, because the protective case is removable, the Fire HD 8 Kids Edition doesn't have to look like, or function only as, a kids' device. The HD 8 Kids Edition is a really great tablet for children, combining a decent screen size and drop-proof design with a slick UI and tons of truly excellent content. Couch surfer. Amazon Prime customers who do not mind some advertisements will find the 10-inch seventh generation Fire HD Tablet great value for money. As expected, the tablet is no high-end product, however it definitely comes with a few high value components that make it an entertainment specialist. In our review, we will shed light onto the limitations you can expect with this device. Of all the affordable tablets we've tested, the Fire HD 10 packs both the best screen and the fastest performance. Unfortunately, we were hoping its larger size could enable more battery life, and we're not exactly giddy to spend so much on a slate that can't use Google apps. If you’re not deep inside the Prime ecosystem, or simply want a tablet that can be productive, then you should look elsewhere. There are too many compromises here, not least the complete lack of support for Google services such as YouTube and Gmail. The HD 10 is more powerful than ever, has a decent Full HD screen and a good amount of storage for the money. Hands-free Alexa is nice addition, too. The Amazon Fire HD 10 focuses its energies in the right places. You will not find a better bargain than this if you have your heart set on a big screen tablet. 80% Amazon Fire HD 10 review: can Amazon’s largest tablet take the fight to the iPad? The Fire HD 10 isn't the best tablet that's out there. But it's the best one for the price you pay — less than $200 — that you'll find anywhere. 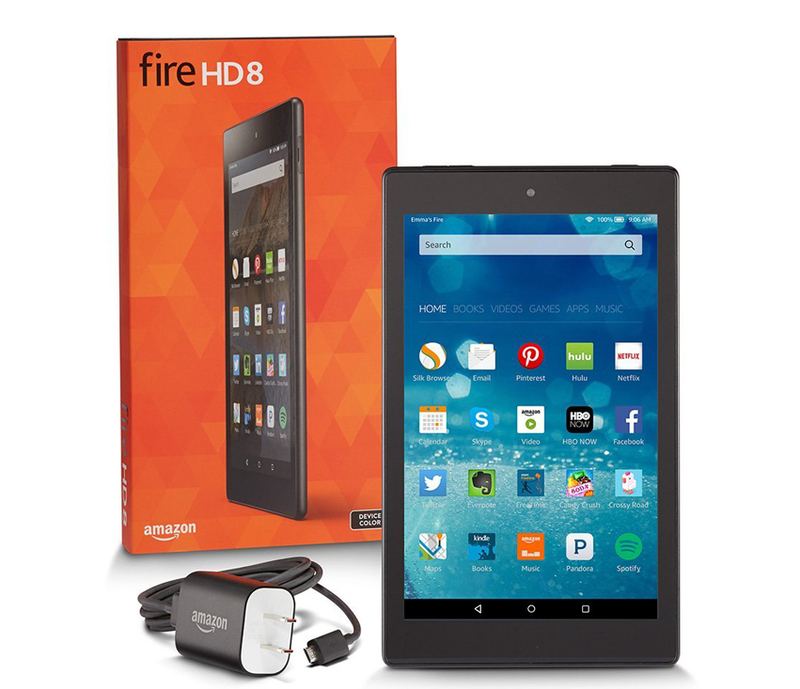 The Amazon Fire HD isn’t so much an Android tablet, as a subsidized Amazon consumption device. If you don’t have an Amazon Prime account and don’t plan on getting one, it’s very difficult to recommend the Amazon Fire HD to you. It’s still enormously good value as a tablet, but you’re probably going want a more pure Android experience with out of the box access to Google Play store, which you won’t find here. The Fire HD 10 is a glimmer of hope in the barren Android tablet wasteland. It fixes everything we didn't like about the last model, while dropping down to an incredibly low price for a 10.1-inch slate. It's just a shame that such a well-crafted Android device can't run Google's services. As it stands, though, the Fire HD 10 is still the cheap slate to beat this year. If you want a cheap, durable device to play and consume Amazon’s vast array of Prime content then the Amazon Fire HD 10 will fit your needs. It isn’t revolutionary or overly interesting, but it will get the job done. The HD 10 is an absolute steal for anyone after a multimedia machine. Videos, music, ebooks, a bit of web browsing? You got it. The Full HD screen is a real step up from last year. The Amazon Fire HD 10 takes the experience of the smaller Fire tablets and boosts it. The size of this device is perhaps a little uncharacteristic now, as larger tablets have generally fallen from favour - unless they are made by Apple. While you don't get the lightest, thinnest or highest specs in the Fire HD 10, this is undoubtedly good value for money, with a price that's hard to ignore. For £150, the HD 10 is an absolute steal for anyone after a multimedia machine. Videos, music, ebooks, a bit of web browsing? You got it. The Full HD screen is a real step up from last year. The Fire HD 10 is a well constructed and feature-packed budget tablet, which is well geared towards families with Amazon Prime subscriptions. Only the lack of Google support disappoints, while anyone who isn’t fully on board the Good Ship Amazon won’t find much to enjoy here. I don’t think cheap tablets will ever be as interesting as they were a few years ago, when the iPad was a much more expensive device. But while the Fire HD 10 won’t win over anyone looking to replace their laptop with a tablet, it’s still a fine tablet for doing basic things that doesn’t cost a fortune. 80% Amazon Fire HD 10: can Amazon’s largest tablet take the fight to the iPad? The Fire HD 10 fits into a big tablet space that's fairly empty at the moment. Many have boosted the performance of their tablets and added keyboards or a stylus as a replacement for a laptop. Amazon has no such aims. This is about entertainment first and foremost. For £150, the HD 10 looks like an absolute steal for anyone after a tablet for videos, ebooks and a bit of web browsing. The custom UI is purpose-built for quickly downloading content from Amazon’s many different stores, and the Full HD screen is a real step up. The Amazon Fire HD 10 doesn’t make any moves that are going to cause people to send the thing back. The sound and battery life are a bit better than you’d expect, the screen is as advertised. The Amazon Fire line is designed for entertainment, so if you're looking for a tablet that can function as a robust work machine, it's not for you. 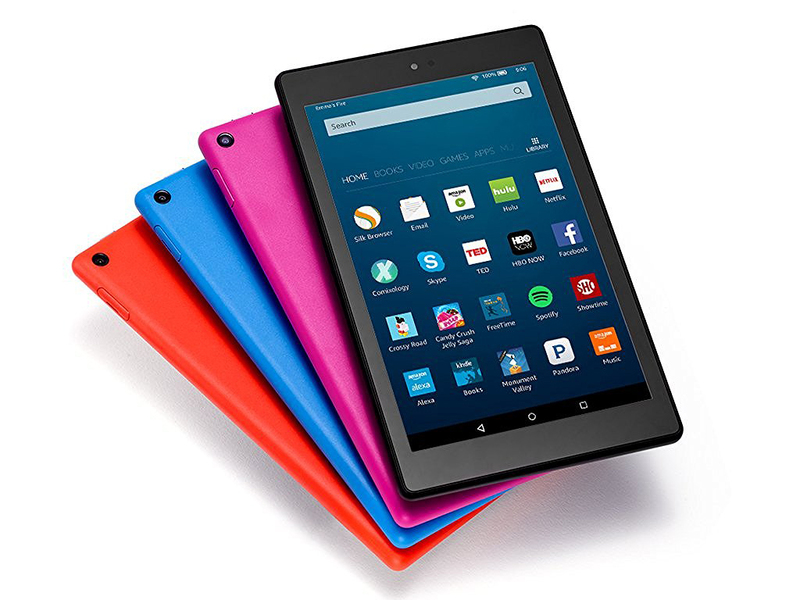 That said, if you want an inexpensive tablet that comes with free 24/7 remote access support, easy access to media and internet, and built-in Alexa, the Fire HD 10 fits the bill. This tablet is ideal for business travelers who want a secondary device to make flights a little more enjoyable and daily life a little more convenient. But these initial thoughts are based on a brief hands-on. We'll deliver our final verdict around the 11th October launch date, but if you’re already convinced you want one, the Fire HD 10 is available to pre-order now. While Amazon’s operating system is perfectly nice, and an older child will be happy to use it, there are no Google services. The only thing you’ll find is the YouTube app, but no Gmail, no Google Maps, Docs or anything else. 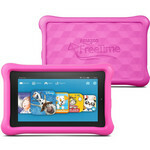 The best kids tablet yet gives the young ones plenty to do and the old ones peace of mind. A bigger, more powerful tablet for kids that need it – but the smaller 8-inch model may be better for younger children. The best kids' tablet so far – although it isn't without its faults. Namely software compatibility troubles and the mediocre hardware underneath. Qualcomm Adreno 330: Integrated graphics card in some Qualcomm Snapdragon SoCs, supports OpenGL ES 3.0Imagination PowerVR G6200: Multi core (2 cluster) graphics card for ARM processors that supports OpenGL 4.x and ES 3.0Imagination PowerVR GX6250: 2 cluster graphics chip integrated in ARM SoC (e.g. used in the MediaTek MT8173)These graphics cards are not suited for Windows 3D games. Office and Internet surfing however is possible. ARM Mali-450 MP4: OpenGL ES 2.0 GPU for ARM based SoCs with 4 fragment processors and 1 vertex processor. unknown: ARM Mali-T720: Integrated graphics card in ARM based SoCs. Can be configured with up to 8 cores (T720 MP8) and 650 MHz core clock (at 28nm). Supports OpenGL ES 3.1, OpenCL 1.1, DirectX 11 FL9_3, and Renderscript.ARM Mali-T720 MP2: Integrated graphics card in ARM based SoCs. Can be configured with up to 8 cores (T720 MP8) and 650 MHz core clock (at 28nm). Supports OpenGL ES 3.1, OpenCL 1.1, DirectX 11 FL9_3, and Renderscript.» Further information can be found in our Comparison of Mobile Graphics Cards and the corresponding Benchmark List. Dual-core Cortex-A15 combined with a dual-core Cortex-A7 "big.LITTLE" SoC that integrates a PowerVR G6200 GPU. MT8163 V/B 1.3 GHz: Quad-Core ARM Cortex-A53 SoC clocked at up to 1.3 GHz (V/B version) with integrated Mali-T720 MP2 clocked at 520 MHz graphics card. 74.1%: This rating is bad. Most notebooks are better rated. This is not a recommendation for purchase.» Further information can be found in our Notebook Purchase Guide.